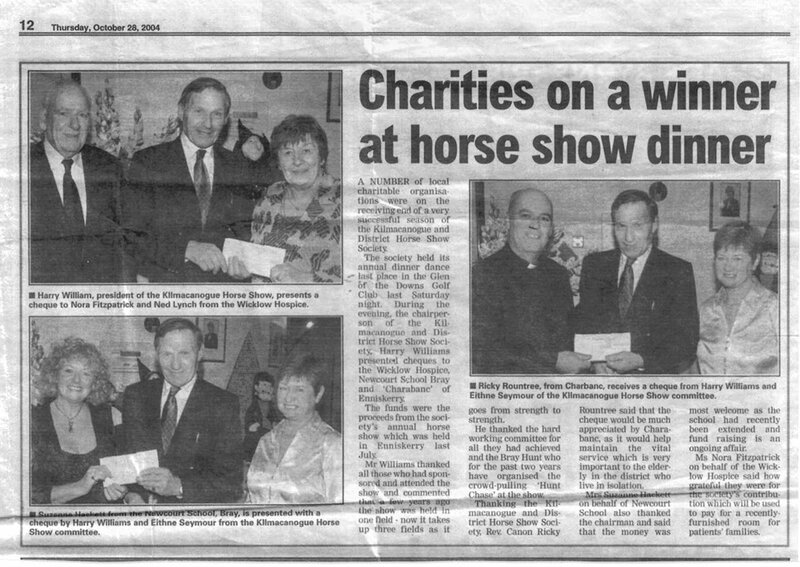 When the show was founded in 1972 the main purpose was to raise money for charity, in the beginning the funds were targeted towards the purchase of a mini-bus for Duffcarraig House in Wexford. 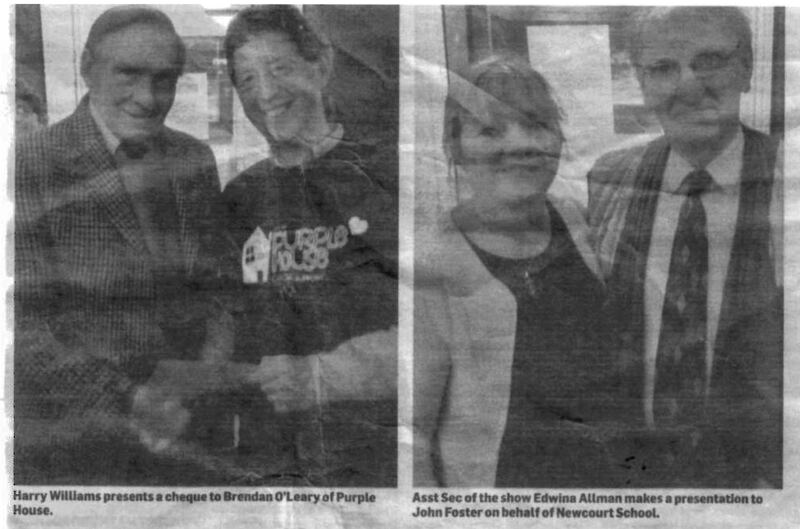 Having achieved that goal proceeds were then directed to mainly local charities. 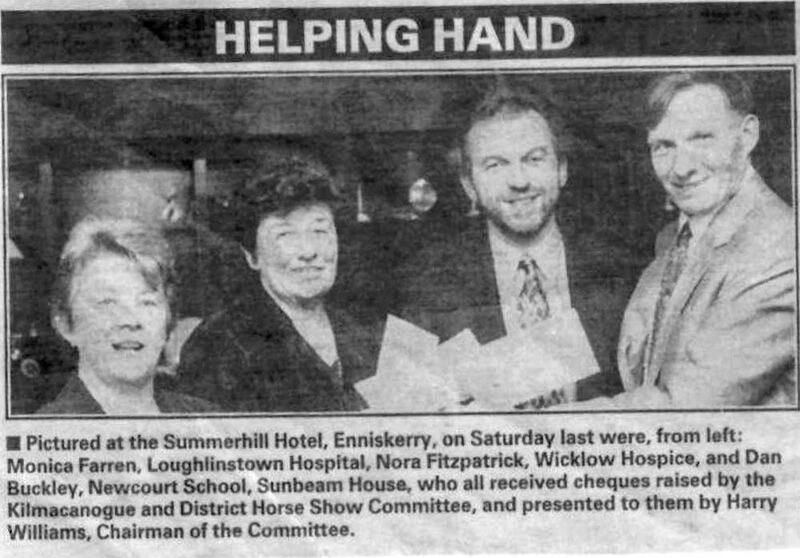 Recently the show has supported Newcourt School in Bray, the Charabanc Enniskerry – a caring resource for the elderly, the Irish Horse Welfare Trust, Dublin Society for Prevention of Cruelty to Animals (DSPCA) and Riding-for-the-Disabled amongst others. 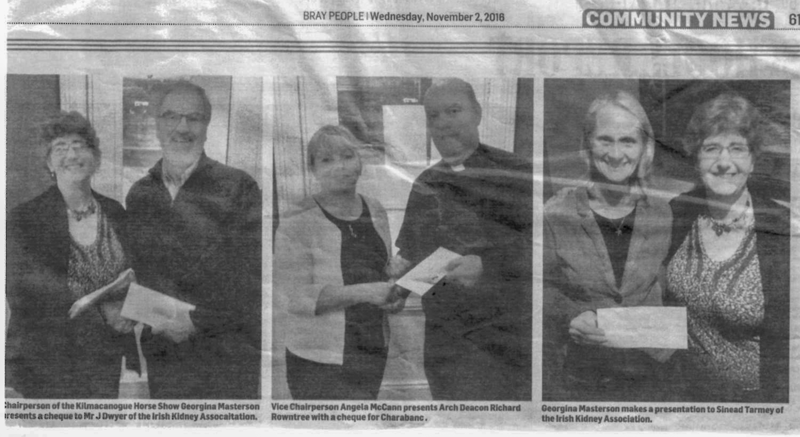 Due to the generosity of the show's sponsors, spectators, exhibitors and friends well over €100,000 has been raised for these local charities. 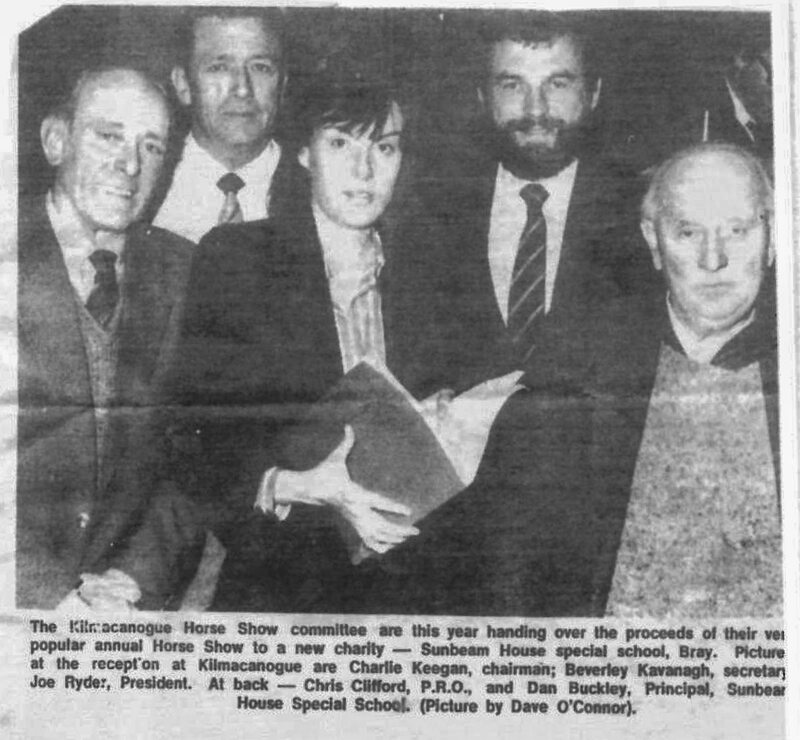 The idea of a Kilmacanogue Gymkhana was first thought of by Mervyn Kavanagh of the Old Long Hill, he discussed the idea with Sally Mac Weeney and asked Charlie Keegan if he would be Chairman of the committee. 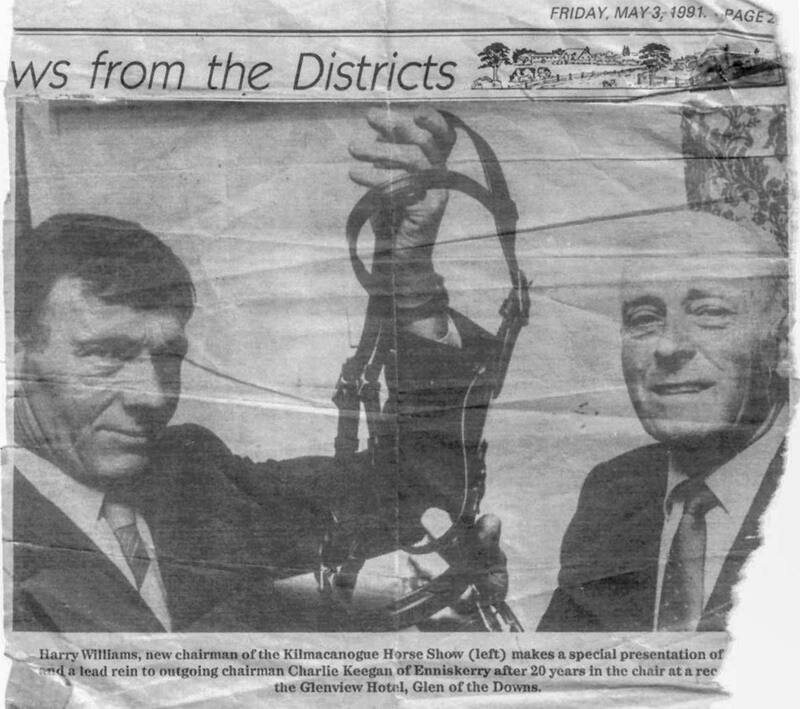 Sally mentioned it to her parents and the idea soon became the first Annual Kilmacanogue Horse Show and Pony Gymkhana which was held on Saturday 26th August 1972 in Bushy Park by kind permission of R.B. Bisgood. 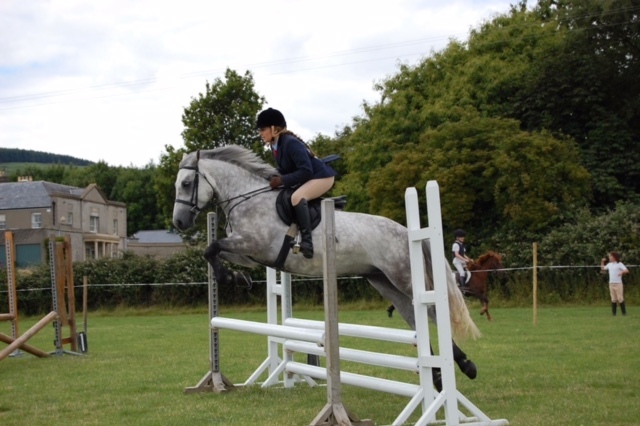 The show was organised in such a way as to encourage experienced riders to participate but also to give opportunities for young or inexperienced riders to attend. 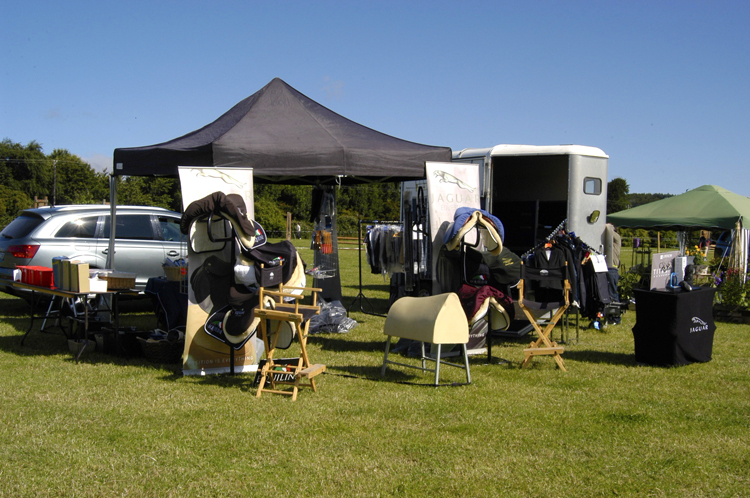 The ethos of the show was to support a charity and to encourage sponsorship. 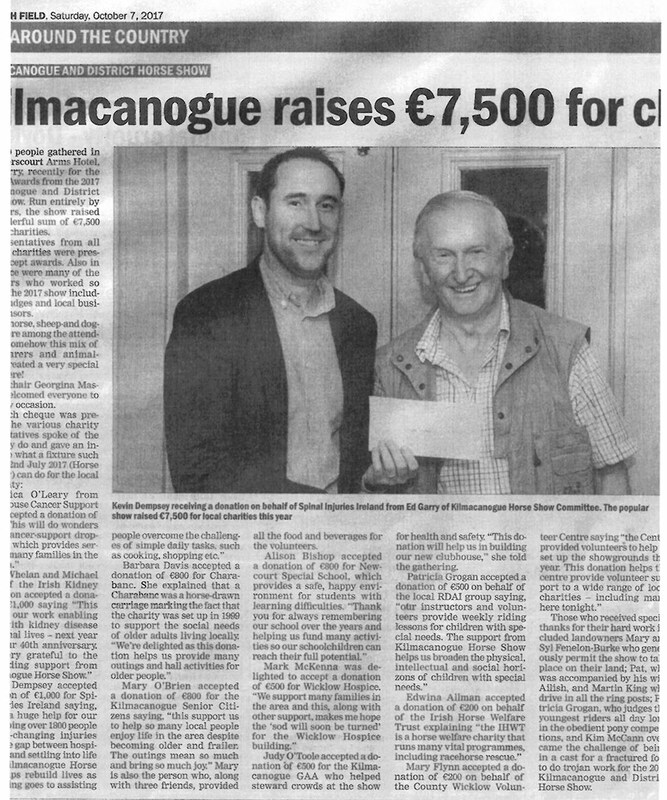 It was decided that all the proceeds from the show would be given to Duffcarraig House. There was only one month to organise the show and Sally remembers that they where able to find helpers without much of a problem as they didn’t have time to think about what they where promising ! 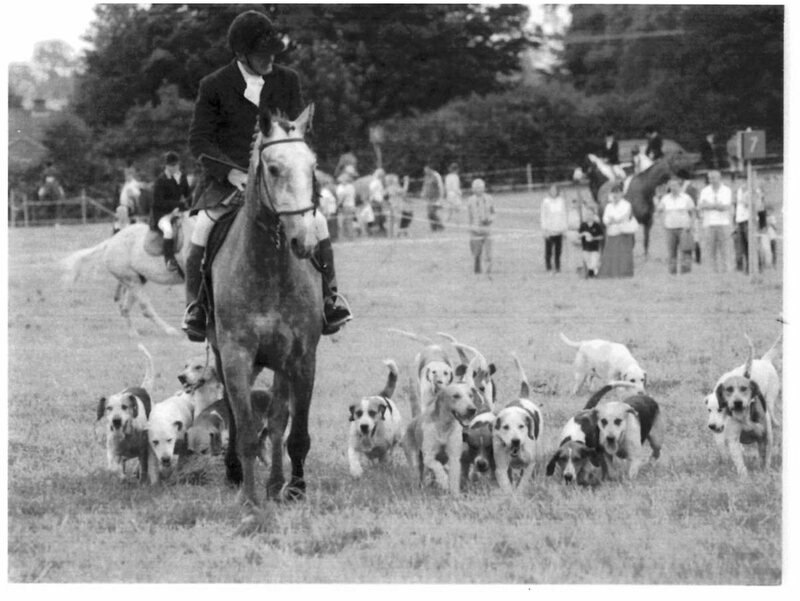 The show was a great success with entries of 100 ponies, 80 horses and 20 donkeys. 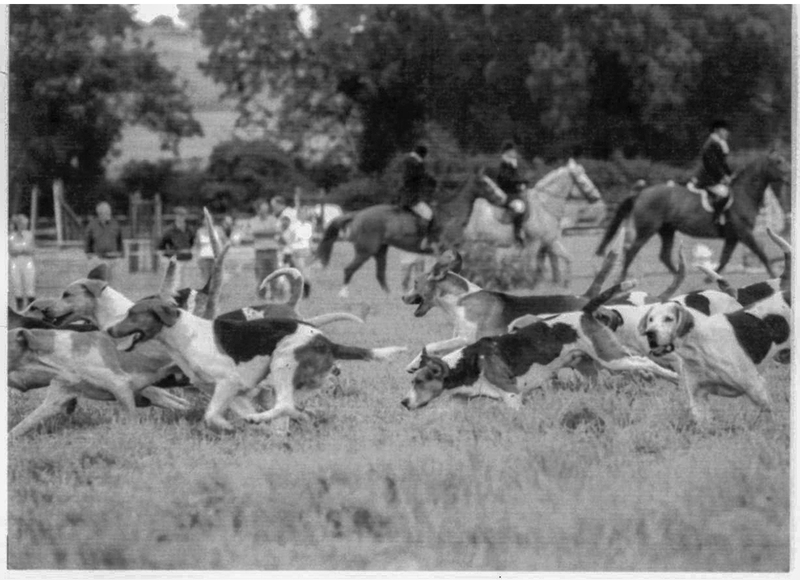 There where also 130 dogs entered in the dog show. - if you have more information please let us know! Click to enlarge.